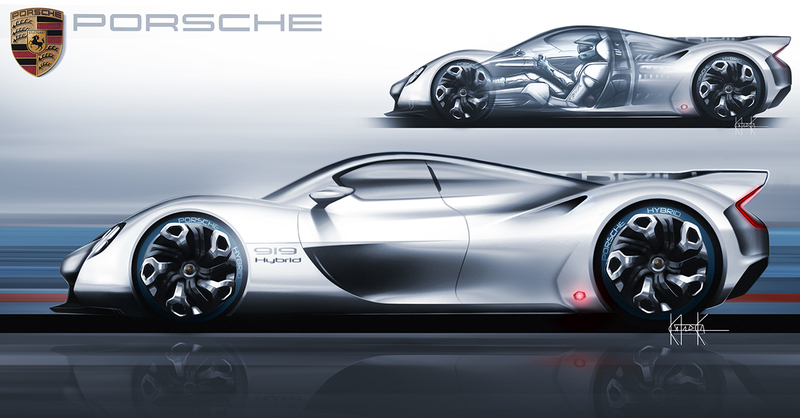 Is this the latest design of Porsche 919 hypercar? Porsche 918 Spyder has recently completed the production process. 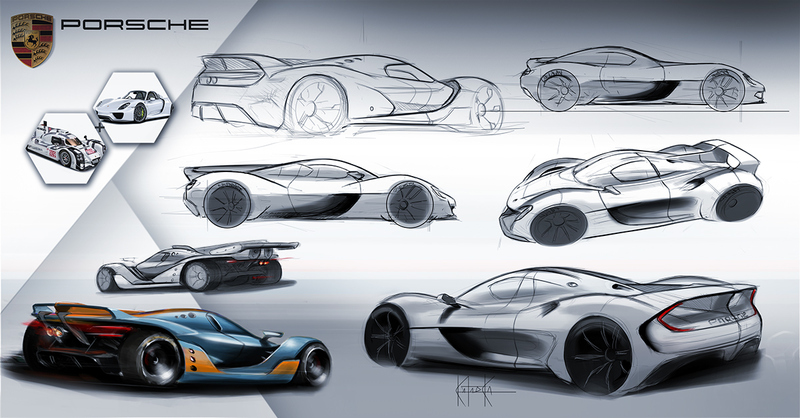 It seems after that, the Porsche will not stop to make hypercar. At least it will happen the next few years. As the car will slide in the future, it is impossible the company will provide the leaked of car's forms at this time. Well, for that, a Brazilian designer named Guilherme Kataoka have the initiative to make a road-legal hypercar study design based on the Porsche's legendary racer, ie 919 Hybrid LMP1. As reported by the Carscoops on January 30, 2016, Kataoka designed the Porsche 919 hypercar based on the inspiration of the 918 Spyder and 919 Hybrid LMP1 racer. Then he chose the mid-engine layout. 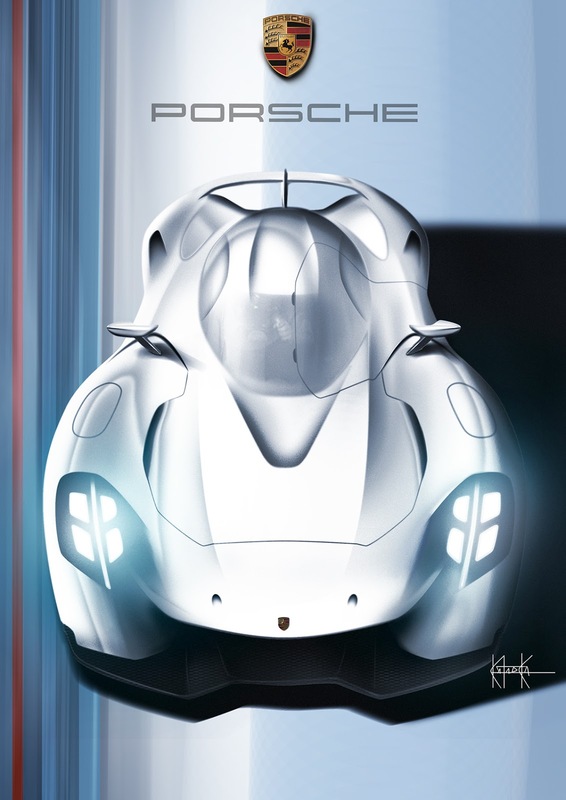 At the front, the headlights looks quite similar to a 919 racing car is curved to follow the contours of the wheel arch, and a set with aerodynamically-efficient wheels. 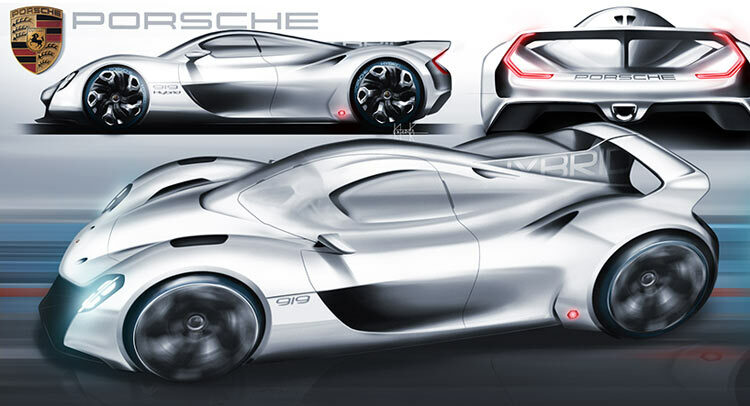 As with the 918, this car has a lower enough cabin with the position of steering wheel in the middle, similar to the McLaren F1.